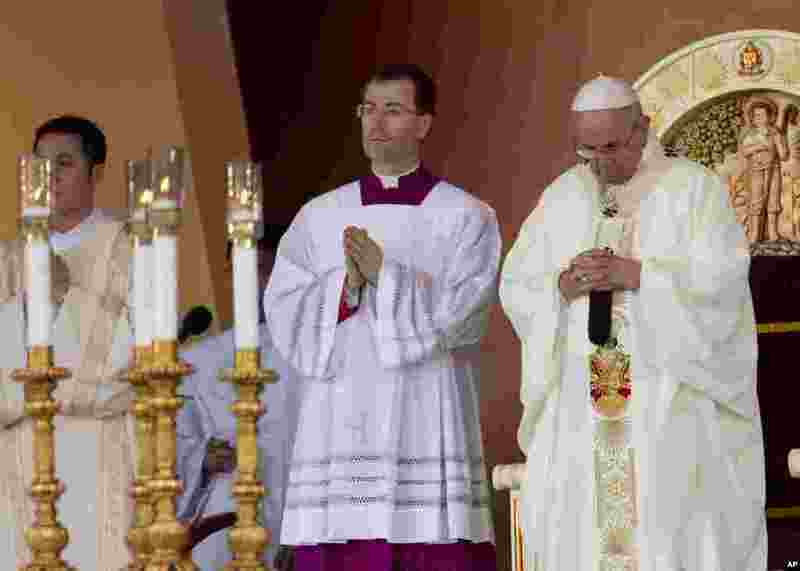 Pope Francis delivered Mass for millions of Filipinos gathered under a steady rain in Manila's Rizal Park and surrounding areas - the final day of his four-day visit to the Philippines. 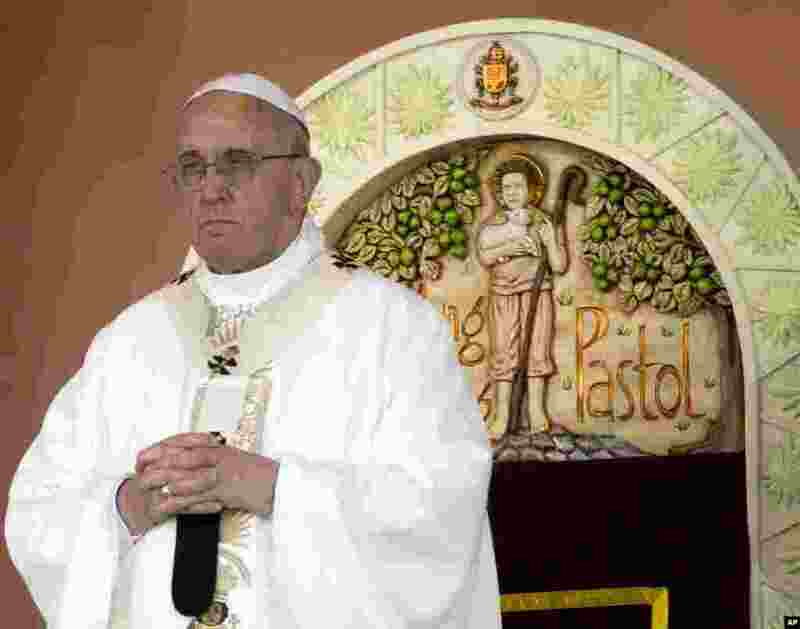 1 Pope Francis prays during a Mass at Rizal Park, in Manila, Philippines, Jan. 18, 2015. 2 Catholics hold candles during a holy Mass by Pope Francis at Rizal Park in Manila, Jan.18, 2015. 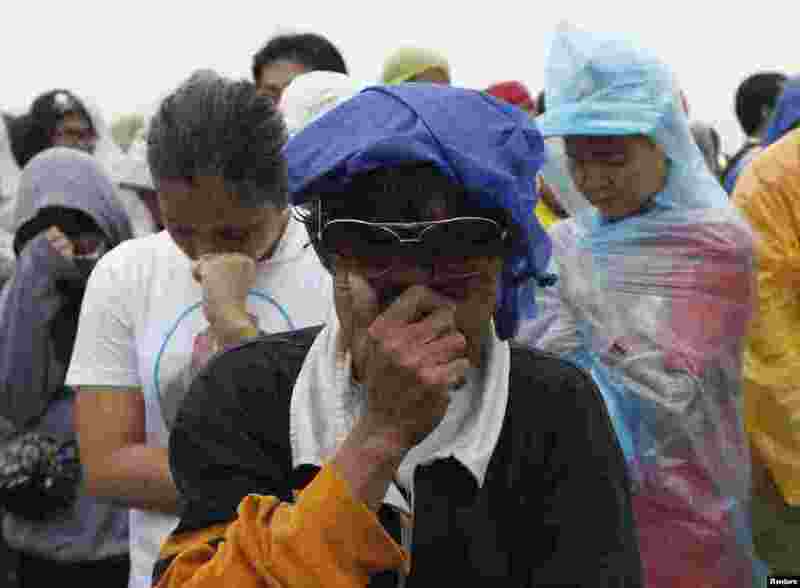 3 A woman cries as Pope Francis leads an open-air Mass in Manila, Jan. 18, 2015. 4 Pope Francis prays during a Mass at Rizal Park, in Manila, Jan. 18, 2015.